Causation is a seductive notion. We want to make meaning out of our world. I love playing “the beeping nose” with little children. I press their nose and it beeps. I press my nose and it whirrs. It fascinates them. They have discovered cause and effect. They can make cool sounds by pressing noses. You can keep them amused for quite some time. Cause and effect implies control. If we know what causes things we are better able to control them. Scientific endeavor is largely a search for causes. History is littered with examples of misplaced cause and effect theories. Many of them apply to medicine, and still do. Gerd Gigerenzer cites the example of Rudi Giuliani claiming victory over socialized medicine. Giuliani points out that that life expectancy for men diagnosed with prostate cancer is longer in the US than in the UK. Gigerenzer points out that Giuliani omits to mention that they all live about the same length of time from contracting the disease but that because of screening, American men are aware of their illness for longer. And many would not see that awareness as a plus, especially combined with the high rate of false positives and consequent nasty side-effects. In the early days of autism research the blame was often placed on “refrigerator mothers” – mothers who did not show warmth to their babies. This was a result of doctors’ observations of the mothers of children with autism. This has since been discredited as a cause. It is suggested that the mothers were acting that way in response to their baby. It takes two to bond. It is difficult to prove causation. In any identified statistical correlation or association there are multiple explanations. Effects A and B are found to be related. It could be that A causes B. But maybe B causes A. 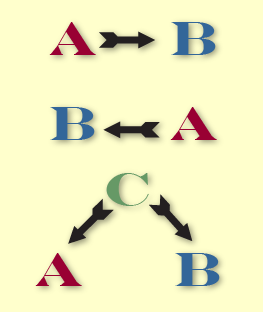 Or a third possibility is that C causes both A and B. Passage of time may be the universal factor. 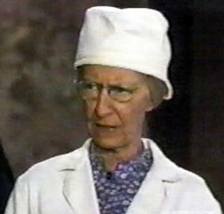 This reminds me of a Beverly Hillbillies episode where Granny has a cure for the common cold. One spoonful is enough and you are sure to be cured! Miss Hathaway gets all excited about this entrepreneurial opportunity until Granny explains that it takes about ten days to get better. But her patients always do! I think a control group might have been helpful in this instance. The prevalence of misplaced causation is one of the most important concepts that a teacher of statistics can teach. We need to make sure the citizens of the world take a critical approach to claims of causation. So how do we teach this? I don’t have the answer to this one, other than that I know we should try. Stories and more stories, I suspect. Have them identify types of data. Placing labels on things helps. Make sure they can identify observational, epidemiological and experimental data. Get them to think up alternative explanations, and identify misplaced claims of causation. I find True/False questions remarkably useful in challenging students’ thinking. Unfortunately causation is probably an example where “school learning” and real learning may part company. The students will give the correct answer using their own dysfunctional rules, such as “If the statement includes the word “causes”, it must be false”. But then again, maybe that’s not such a bad rule! If students laugh at this I think they "get" causation.